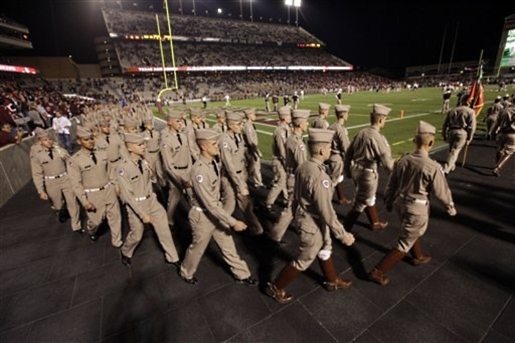 Texas A&M: marching to the SEC? When it comes to conference realignment, it seems as though the college football universe is coalescing. Rather than have multiple major conferences, it seems as though we’re moving to a world in which there are superconferences, and it appears that Texas A&M will be kicking off the next round of realignments, as Texas A&M has filed to leave the Big 12 and appears headed to the Southeastern Conference. Will this kick off a team moving frenzy akin to last season’s Pac 12 and Big Ten expansions? Or should we blame this on Texas and their stupid Longhorn Network?